RUSH: Let’s go to the audio sound bites, the aforementioned Frank Luntz focus group in Alabama. This actually happened on Friday on HBO’s Vice News Tonight. It’s a show there. They had the pollster, Frank Luntz come in there. He’s the establishment Republican pollster and focus grouper. And they put together a group of Alabama voters to talk about the Senate election that is tomorrow. And during a discussion about support for Roy Moore, voters Scottie Porter, Chuck Moore, and Luntz had this little exchange. LUNTZ: How many? How many? MOORE: It’s a matter of legitimacy, not just how many. MOORE: How many are actually not being paid or coerced to do that? LUNTZ: How many of them do you think are being paid? RUSH: Everybody in his focus group thinks all the women in the Roy Moore story are being paid, and they all say they’re voting for Moore. Some say they like Moore. Some say they don’t. Most of them say they’re not voting for a Democrat. They don’t want any part of a Democrat in there. They all say, “This happened 40 years ago. Why did they wait until an election to come forward?” This is the same point that I made. I told you I called the Trump campaign, when that Access Hollywood came out, the video. I’m not gonna tell you who I talked to. It wasn’t Trump. But I called and I said, “Whatever you do, do not run from this. My sense is — and don’t doubt me — the American people, enough of them, are fed up with this kind of October Surprise or BS to affect their vote right before an election.” They’re getting offended by it, and they’re far less likely to fall for this. I was hell-bent on making that point, and that was just my instincts, because the Access Hollywood tape was 10 or 12 years ago, however old it was. And then I found out the Washington Post is who released it because NBC didn’t want to. NBC held it, gave it to the Washington Post, and everybody involved knew this tape had existed for years and years and years and they wait for October to release this! And I told ’em, “You can handle it however you want to, but I’m telling you: Don’t be surprised when a lot of people don’t care. In fact, don’t be surprised when a lot of people are actually mad about this because of the way their votes are being manipulated.” Same thing here. These people, the Frank Luntz focus group in Alabama said 40 years ago and we’re just now hearing from these women? And a lot of them knew that the yearbook had been forged and that Gloria Allred had yet to produce it. You know, take your average Washington establishmentarian, take them down to Alabama, talk to people that live there, and they’re flummoxed and stunned. They don’t believe it. They can’t believe that people in Alabama don’t think exactly like the media thinks or like the Washington establishment thinks. They’re just stunned. 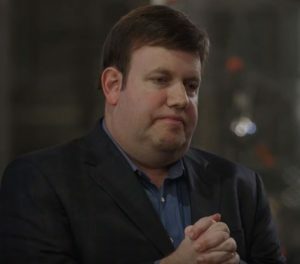 Luntz was stunned with what he was hearing. How many women does it take? Don’t care. If none of them have any proof, what does it matter? Why wait 40 years to come forward? In other words, why aren’t we allowed to be suspicious of the women in this case, or in any case? But the media thinks once they say something about something, everybody else is required to agree with it and behave accordingly. We have one more here I think we have time for before the break, and again Scottie Porter, Jane Wade, and Rhonda Richardson. These are voters in Alabama talking to Luntz. PORTER: Let’s be real. It was a different world. Forty years ago in Alabama, people could get married at 13 and 14 years old. My grandmother at 13 was married, at 15 had two children and a husband and a job. If Roy Moore was guilty, if he was at the mall hitting on this 14-year-old, 40 years ago in Alabama there’s a lot of mamas and daddies that’d be thrilled that their 14-year-old was getting hit on by a district attorney. LUNTZ: How old was he? WADE: Thirty-one. For all of us as a woman, I think we’ve pretty much all been in the situation where there’s been sexual harassment. LUNTZ: I mean, think about what you’re saying. You’re calling all nine of those women liars. Nine women. When it happened to you, didn’t you want people to trust you? WADE: I never told anybody. LUNTZ: Is that good, either? WADE: Even if I was gonna tell somebody, I would not have waited 38 years to tell it. RUSH: Bingo. See? If I was gonna tell anybody, I wouldn’t have waited 38 years to do it, Luntz.